A custom-built frame is not the same as a custom-built bike, its just a subset. In a custom-built frame, all the angles of the bike frame is specified to provide the rider with specific handling characteristics. Either that a specially angled bike for riders who have body proportions, which are off the scale. Custom-built bikes are bikes with components and other parts of the bike that is specified and assembled to the want of riders. 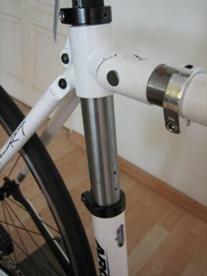 Typically, these assembled bikes are more expensive, utilizing components that are usually more expensive. First why a custom-built frame? Really, there is no need for everyone to own a custom-built frame. Statistically about 70-80% of riders will fit into the limits of a commercially available frame. Only a handful will ever need to build a custom for everyday riding. Having said that, if you would like a specific feel to a frame or would like to skew the performance of a frame to being more responsive and acute corning ability, then a custom designed frame is what you should be looking for. Riders with very odd proportions will benefit tremendously with custom-built frames as the built up bike will look proportional and this will optimize the flex in the frame when the bike is in motion. Now here’s the deal, if we can help you build a true blue Italian hand-made custom frame, at no extra cost to compared to a standard geometry, wouldn’t it be ideal! Have a read at www.vinerbikes.com and let me have your thoughts @ mervyn@thebikebutler.com ! It’s 70% due to the warm, humid weather! Sure, there are other materials to consider and good reasons for them too. I am just recommending it based on these benefits. Titanium is a great choice for a first frame as it will be able to sustain the harsh and damp weather in the tropics, not to mention salt water. Titanium does not corrode and is very inert. 20 years later and it still will look the same. This frame can be the workhorse in your cycling career. Titanium tubings are notoriously hard to break and crack. If it does, it will usually mean that the manufacturers are pushing the material to its limits. This will mean double and triple butting the frames and having the tube walls at the welds as thin as possible, just to achieve weight reduction. The only weakness in a titanium frame if any is at the weld. Well, every titanium frame has to be painstakingly hand welded and the strength of the weld is ultimately up to the skill of the titanium welder. There are two popular grades of titanium, which is worked on most of the time. They are the 3Al-2.5V grake and the 6Al-4V grade. The 6-4 grade in short is harder, lighter, stiffer, and very costly. They are also very difficult for welders to work with and margin of error is a lot less compared to the 3-2.5 grade. Comfortable! That is the bottom line. You may not get the quick response from an aluminum or carbon frame, but when your custom-built titanium bikes are brought up to speed, they will perform flawlessly. The titanium ride to me has the closest feel to the ride of a steel bike, which any true road cyclist will swear by. Before I get started on with this topic, I truly discourage on basing the purchase of bike items solely based on price, worse case scenario is the haggling of prices. If the retailer does not get a acceptable margin (that is well deserved), then do not expect top-notch service or service standards to be reciprocated. Based on what you need for a calculated period should be the key here and get the best advice you can get from an experienced mechanic / fitter / biomechanist to what will suit you best, rather than what is already hanging from the shelf. There are different sources of titanium frames. Some are formed and welded in China, by experienced x-military welders. We recommend 3-2.5 as a starting platform because good welding standards for 3-2.5 grade is easily met and the raw materials are relatively inexpensive. A custom-built 3-2.5 titanium frame will set you back between S$1,800 to S$2,000 depending on the specifics of the tubes and the amount of detail put in them. Once can also have the option of having the bike in sand blast matt or brush polish finish.The more man-hours are spent on the welds, the greater the costs. It only makes sense. Viner Bikes has one titanio model, also customable at no extra cost. Both tubings and welds are hand built in Italy. We are paying for welders and Italian experience to build you one of the finest titanium bikes in the industry. The frameset (frame, fork and headset) is priced at S$8500 with GST. At The Bike Butler Clinic, we possess a frame jig to allow for specific manipulation of the tube lengths and tube angles to cater to virtually any human proportions. After going through a comprehensive bike fit assessment system, we will further customize your needs by using components that will make you feel comfortable. In the next couple of months, a fully automated system will be made available to access accurate power output as well as torque generation. This would then be added to the battery of tests to help determine your ideal special position. All these will mean that the bike is built around you rather than accepting compromises, Hence the appropriate saddle and handlebars will be recommended. This is also true if you are not looking forward to a custom frame but this process is possible even for off the shelf bikes. 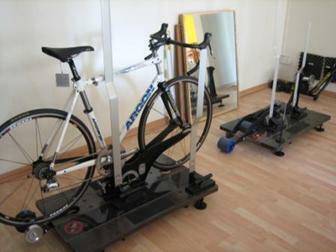 The jig is able to adjust to your desired frame and the appropriate componentry recommended based on your physique. For prices of Viner Bikes, they will soon be up on the online store and if you do have questions on componentry related to your bike, please do drop us a note.